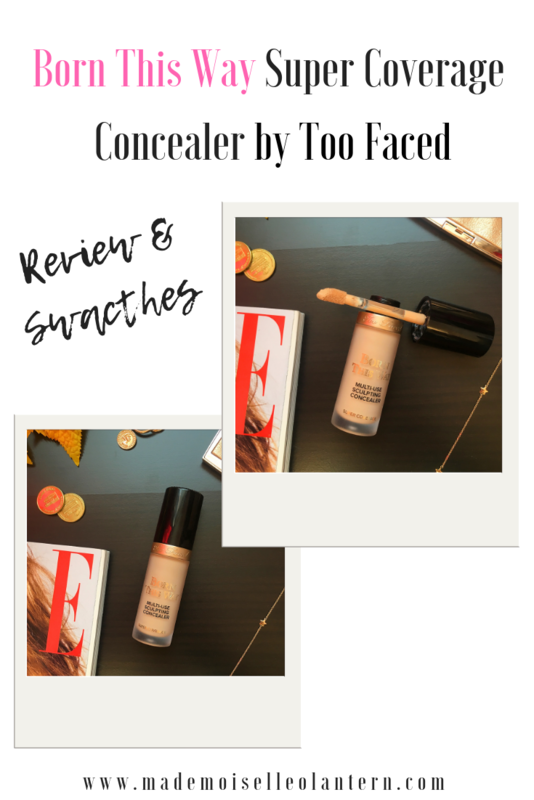 In today’s post, I am reviewing Too Faced’s newest concealer: Born This way Super Coverage Concealer. I was so excited to try this bad boy out because the claims are so tempting, I didn’t read a lot of reviews on it so I don’t know if many bloggers liked it but I can tell you that I love it and if you wish to know more about it then keep on reading! And by the way, I watched Fantastic Beasts 2 Saturday night and oh my god, it’s so precious, I loved it and Johnny Depp impressed me as Grindelwald. I’ll keep my opinion for my monthly mini reviews but GO WATCH IT! 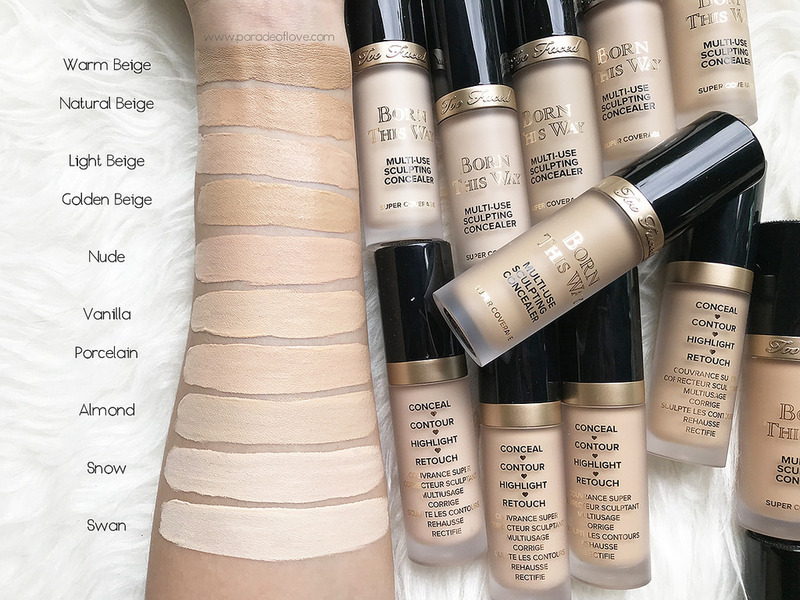 wow that’s a lot of claims and it seems like the perfect concealer for me, to be honest. I am completely obsessed with how the packaging looks, it looks super luxurious and would look so nice in flatlays and in your makeup vanity in general. I love the combination of black and gold, the fonts are so elegant and go really well with the overall packaging. I also love the fact that it’s huge but the doe-foot applicator is more or less normal in size :p. I love the small golden hearts in the back of the concealer between each uses [conceal, contour…] instead of putting a comma, you can’t see them in the photos because of the lighting. Another thing I loved that I did not take in picture cause I am stupid is the 3D logo and ornament around the logo on top of the applicator. Everything in this concealer is pretty, honestly, I just love the details that were put in the creation of this packaging. 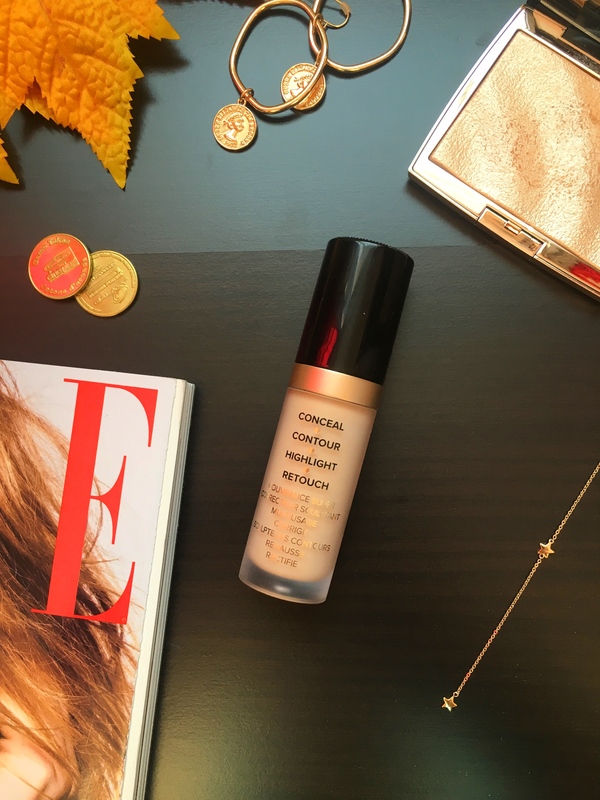 I am so happy I purchased this concealer, I am actually loving it, it does all the things it claims to: it’s SUPER full-coverage and you don’t need to apply too much, it’s super hydrating, it’s creaseless and it blends super nicely and effortlessly. I can guess that it would be amazing as contouring like they mentioned because of how creamy it is. Like it claims to, it does last a very long time, I didn’t test for 12 hours but I did test it for a good 8 hour, I think and even after 8 hours in the cold, it still looked flawless. I didn’t test in the humidity yet, I have to go back to Lebanon for that and I will wear it in Lebanon in December so I’ll update my review when I do. I don’t have anything to say about the shade, it’s pretty good on me, true to its description, it doesn’t oxidize and I love the under-tone. I do have one bad thing to mention, the concealer has a weird chemically scent, it’s not too bothering and you don’t actually smell it when you apply it on your face but I thought I would mention it. 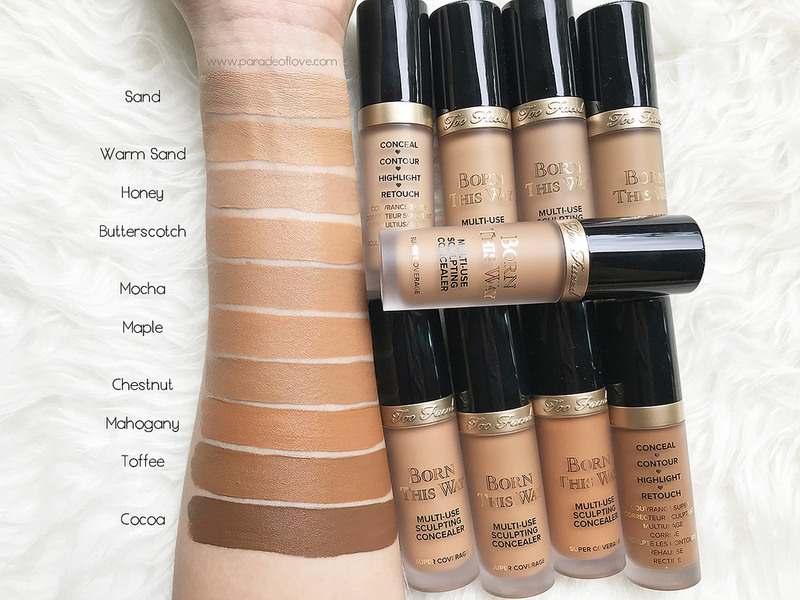 I randomly found these swatches online, you have the blogger’s website written if you want to check her out but these swatches really helped me find the shade I needed and I ended up getting “Vanilla” which is actually perfect for me. To conclude, I definitely recommend this concealer, it’s so worth the price; I love how full-coverage it is, the finish is just stunning and it contains a lot of product. I would definitely repurchase it and it is definitely part of my top 5 favorites! I haven’t tried this yet but you have convinced me to give it a try 🙂 It looks really good and perfect for my skin! 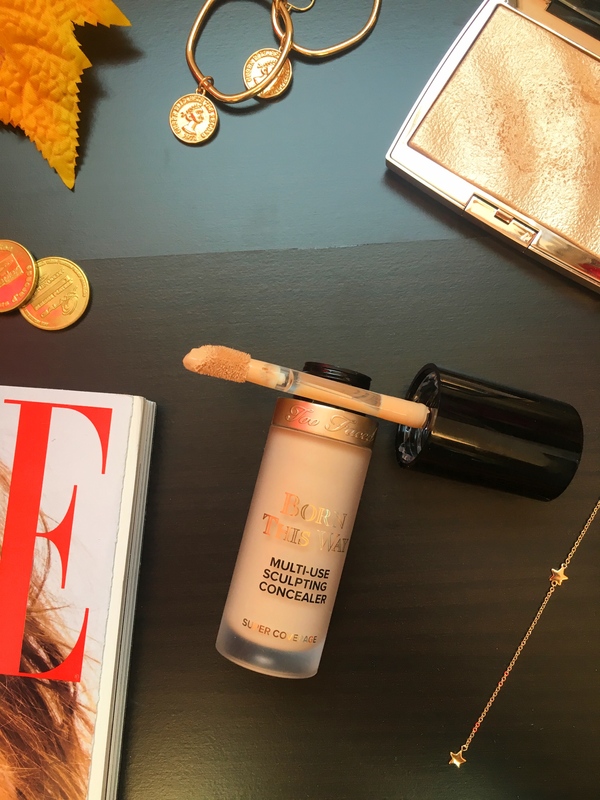 It’s hard to find a great concealer (at least it has been for me)! Thanks for the honest review – I need to check this out! Next time I need concealer, I’ll give this a try. I love that it comes in so many shades and has a great price. I hate paying the big bucks for a tiny bottle of a mediocre concealer. yes same honestly!! I think this is one is so worth it!! How do you choose the right shade of concealer? I’m 28 and I’ve never worn any because I don’t know where to begin selecting one and I figure it’s better to wear none than get the wrong shade and look like an oompaloompa or something. I’ll need to check this out! I can’t wait to hear how it does in humidity. I was just looking into trying this one the other day! It sounds like a winner! I always hear great things about this stuff! I gotta try it! 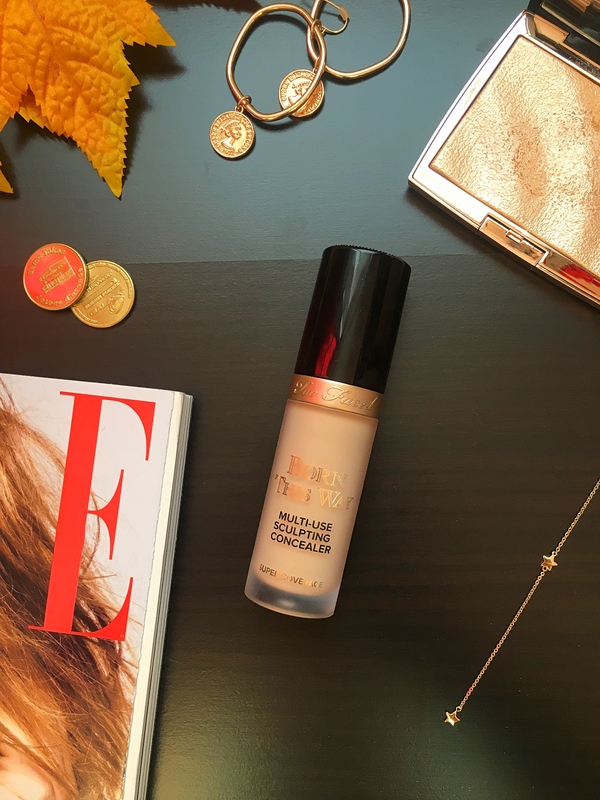 I am always looking for a great concealer, this one looks perfect!! Can’t wait to try. I have been looking at this concealer at Ulta for a while. I am glad to know that it does what it is says it does. I really love it and I think it’s totally worth it ! Ah I’m so happy you reviewed this because I was debating putting this on my “stocking stuffer” wish list. Lol I love that it’s such full coverage. yay I am happy that this post was useful to you and yes it is full-coverage and I love the finish!! !